After the European Parliament voted against the negotiating mandate for the Copyright Directive, the assistant of a Member of the European Parliament,one of its supporters, wrote to a voter to explain why she supports the proposal. Shortly before the UK leaves the European Union, she explains why she wants this legislation to be imposed on the countries that are staying. The e-mail provides interesting insights into why these bad policies are being supported, the main insight being that support is based on myths and fallacies. The proposals have been discussed for two years and the MEP voted to end discussions in the European Parliament. She voted instead to start secretive closed-door meetings (“trilogues”) with the EU Member States. Once such confidential discussions end, the Parliament is always under severe pressure to accept the entire “compromise” deal. Even if (having voted for a negotiating mandate for a text that unquestionably would restrict the right to share news online), these issues were at the forefront of MEPs’ minds, there would be, in practice, nothing they could do to mitigate the damage done by the negotiating mandate. Even if the European Commission “aimed” to update outdated rules, this does not mean that they succeeded, nor should the policies be unquestioningly supported. The job of the Parliament is not to blindly support the European Commission. The reference to “accessing” content is very telling – Article 13 is about using the internet to share, create and communicate – not “access” content, like one accesses TV stations. This is precisely why the Directive is not an “update”, but an attempt to wind back the clock to a viewer/producer model to a time before the open internet. When this “right” was introduced in Spain, the biggest news aggregator (Google News) shut down, to the detriment of smaller news publishers. When this “right” was introduced in Germany, the biggest news aggregator (Google News) was allowed not to pay, to the detriment of smaller news aggregators. It is simply and demonstrably false to argue that this “would be an important” step in protecting the free and professional press, when experience shows that this is not true. The implicit assertion that all journalists support this proposal is simply not correct. The aim is irrelevant, the actual text is all that is relevant. In any event, the assertion is factually untrue. Article 13 does not mention video platforms. The proposal covers all types of content (audio, text, image, etc) on all platforms covered by the unclear definition. The is the existing legal framework. The proposal is that upload filters (“content recognition technologies”) should be used to “prevent” content from being uploaded. The reference to “already used” is misleading as upload filters are already used by the biggest providers, not by all providers. Just because Google does something – and lobbies for something – does not mean it is a good idea. It is interesting to note that the reference is to “inappropriate” (as defined by the platforms) and not “illegal” content, as defined by law. Content recognition technologies would also be used to block quotations, parodies, memes, etc., not just if it was a complete music video. 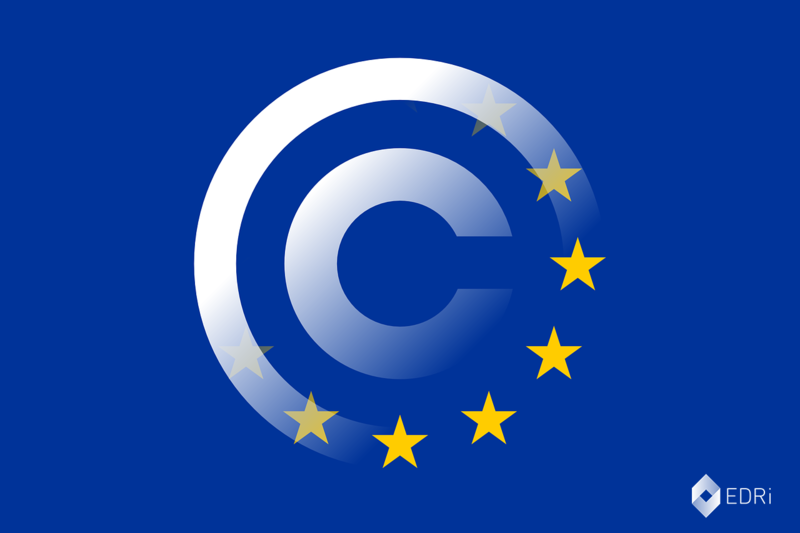 The proposal is that “identified” content be blocked, not only infringements. Internet companies will only be obliged to implement a complaints mechanism if they remove content explicitly because of copyright law. If they say it is a “terms of service” violation, they could easy avoid the expense of implementing complaints. This is exactly what happens in relation to “hate speech” deleted under the European Commission’s hate speech code of conduct, for example.